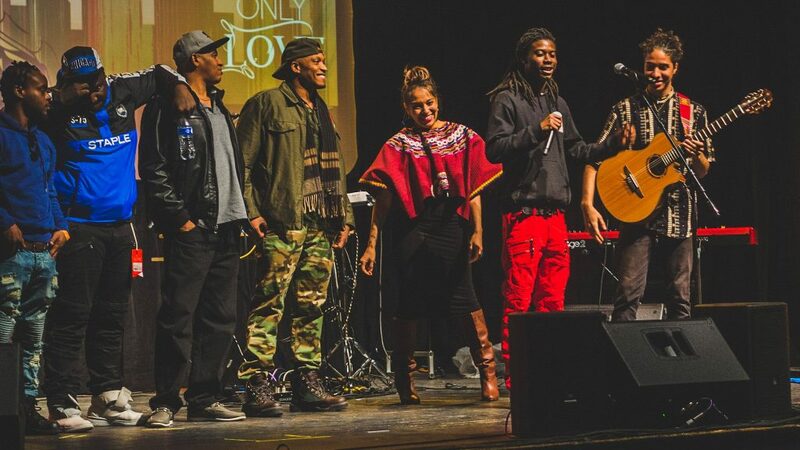 IMAN hosted its first Sacred Cypher residency featuring longtime arts leader Liza Garza, an Emmy-nominated artist, activist, healer and poet. Liza’s work is rooted in her passion for love and oneness, and powered by transformative, intentional listening. Her residency, entitled “Story Cyphers”, used a unique methodology called “story circles”, which originated as a tool used in the Civil Rights movement to create space for people of different races to address and overcome differences. The residency week began with Liza facilitating a series of story circles in collaboration with IMAN’s Green ReEntry program participants and members of the Behavioral health team where stewardship ultimately will be passed to the participants who will then bring the process into the community by hosting their own story circles. Tuesday evening, attendees of IMAN’s weekly Power Hour were moved by the performance that Liza and her son, Eli Lakes, gave. Wednesday evening, Liza performed at IMAN’s MLK commemoration ceremony at the Marquette Park Field house. Thursday was a powerful moment filled with meaningful conversations and a surprise guest, Chicago rapper, Common. Friday, members of the IMAN community and local artists, joined Liza for a post jummah spiritual cypher session. This residency coincided with IMAN’s Only Light, Only Love week which also included the Illuminating Love Ceramic Workshop on Monday. This workshop allowed for a diverse and intergenerational group of Chicago community members to shine light via creating an oil burner. Liza’s residency and Only Light, Only Love week culminated with CommUNITY Café. CommUNITY Café is a live performance experience designed to connect, inspire and organize diverse communities to action. Over 450 community members, friends, families and supporters joined us for a successful night filled with culture, art, light and love. This night was Co-MCed by Chicago Beyond CEO Liz Dozier and Liza Garza. 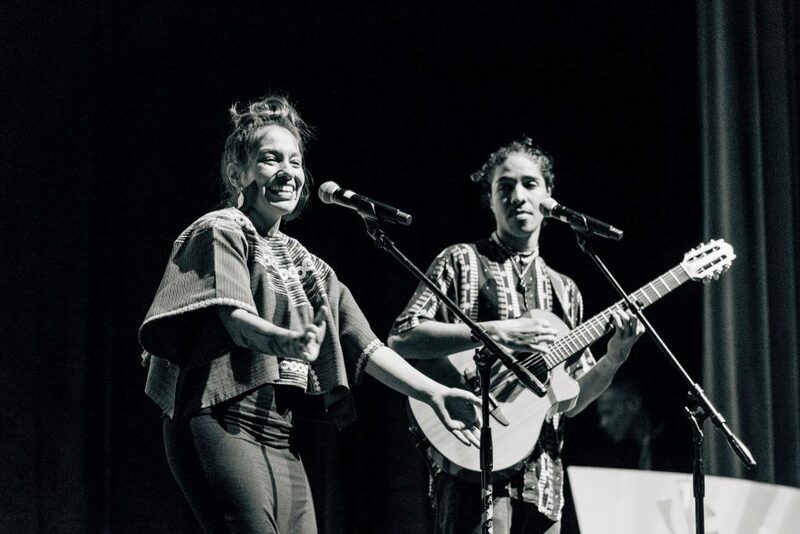 It was filled by an extraordinary lineup which included performances by: Oddisee, Sa-Roc, IMAN Roster Artists: Drea d’Nur, Liza Garza, Eli Lakes, and the band Surabhi featuring Massamba Diop. During the “Café Hour” audiences were invited to engage IMAN’s ongoing community wellness work, support local businesses and artisans, share food, and connect over artistic activities lead by renowned Chicago artists, Lavie Raven and Liz Lazdins. Coming up: IMAN’s arts and culture department is just getting started with ceramic classes, live performance engagement at corner stores, community cafes, and artist residencies. Our next residency features visual artist, Kelly Izdihar Crosby from June 7th through the 13th. If you are interested in getting more intimately involved with IMAN’s arts work, please email arts@imancentral.org. 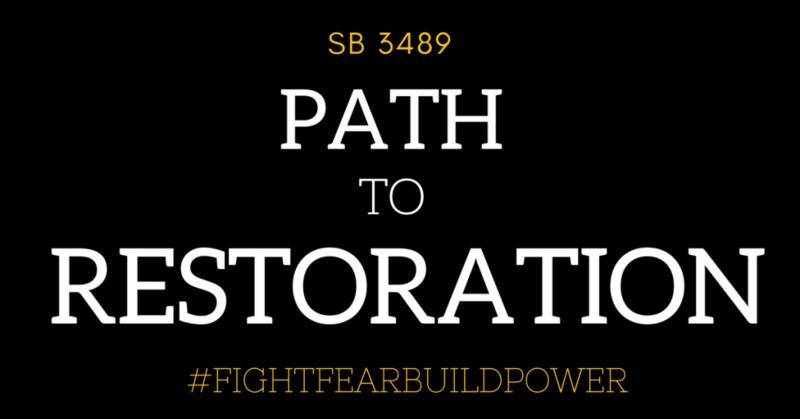 #FightFearBuildPower — SB 3489 passed out of the IL Senate by a unanimous 50-0 margin, and is now moving through the state House of Representatives! The “Path to Restoration” Bill proposes a set of amendments to Illinois’ registry tracking individuals convicted of certain violent crimes. SB 3489 will create a fairer, more transparent system, allowing individuals to amend incorrect information and appeal their inclusion in the database. This is an opportunity to reconcile returning citizens with victims and their families and to help restore the dignity stripped from so many in this process. 2. Fill out the form with your information.